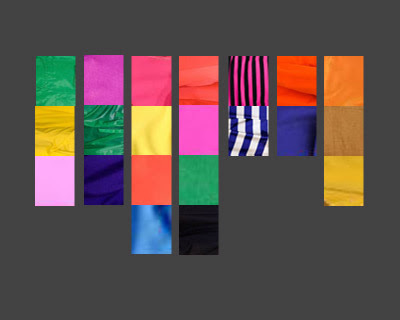 Design Hovie Studios has gathered the colors of 2011 as seen on runways and storefront displays in Milan. Lot's of bright hues of pink, orange, yellow, and green. A few earth tones but for the most part, bright and bold appears to be in for 2011. Thanks to our partners Qwentes Italia for their help with this.